Like his good friend R.L. Burnside, Junior Kimbrough hailed from northern Mississippi and didn’t find fame until relatively late in the game. Kimbrough recorded sessions in the 1960s and 1970s that went mostly unreleased. It wasn’t until music critic Robert Palmer produced his first record for the Fat Possum label in 1992 that Kimbrough attained national attention. 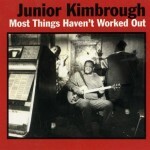 Kimbrough opened a club in Mississippi after the release of the record called Junior’s Place where he and R.L. Burnside regularly performed for such musical luminaries as Keith Richards, Tom Waits and Bono amongst the common folk. Kimbrough’s window of fame was a scant six years coming to an end when he died of a heart attack in 1998 at the age of 67 following a stroke. 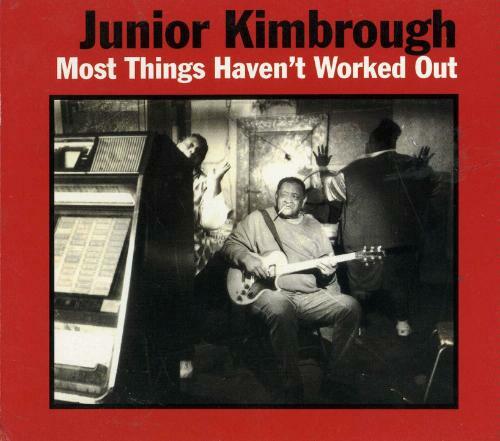 This song comes from his last album before his death “Most Things Haven’t Worked Out.” You can hear Kimbrough’s influence today in the music of The Black Keys and Jack White.